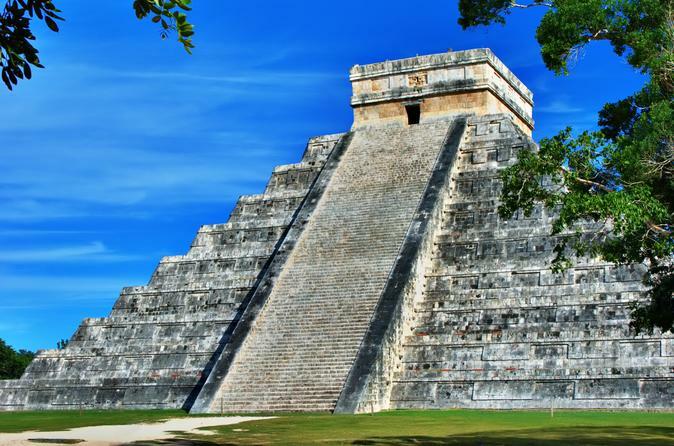 Arrive early and beat the crowds on this tour of Chichen Itza with an expert archaeologist guide — a Viator Exclusive available nowhere else! 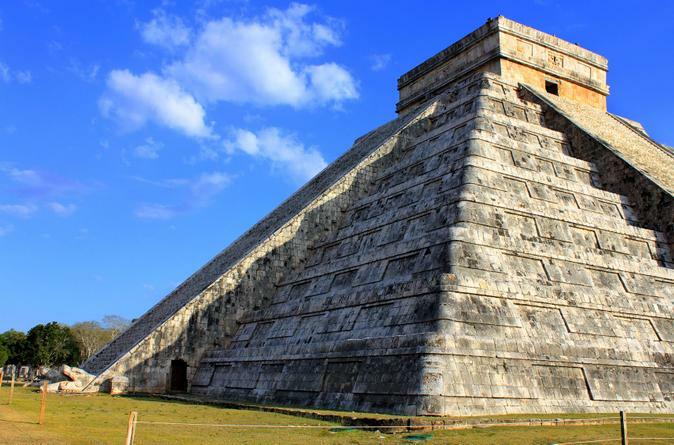 Experience in tranquility attractions like the sacred cenote, the Kukulkan Pyramid, the ball court and other areas of this impressive archeological zone not part of most traditional tours. As you take in the grandeur of the ancient capital of the Mayan Empire, enjoy informative and fascinating commentary from your specialized guide. Hotel transport from Playa del Carmen is included. There’s no shortage of adventure and spectacular sites on this full-day tour from Playa del Carmen. 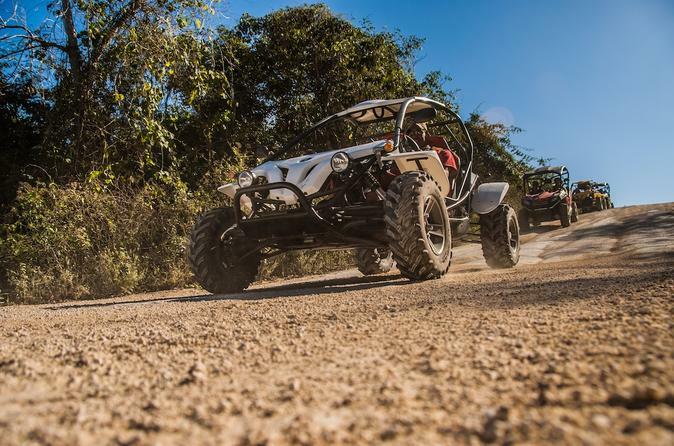 Wander the ancient blufftop city of Tulum, stroll along its pristine beach and ride a Mercedes-Benz Unimog, a monster truck that whisks you to rappelling and ziplining locations inside the Yucatán jungle. 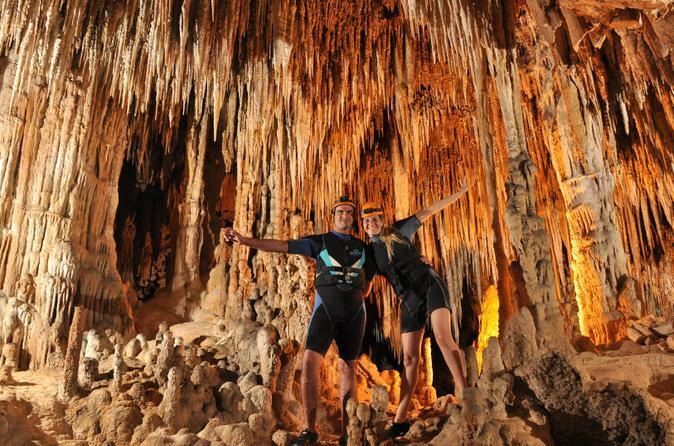 Discover the underground caves of Sac Actun and Nohoch Nah Chich, and snorkel around stalagmites. Swim in cenotes, partake in a Maya purification ritual and settle in for a hearty, homemade buffet lunch. Round-trip hotel transport is included. 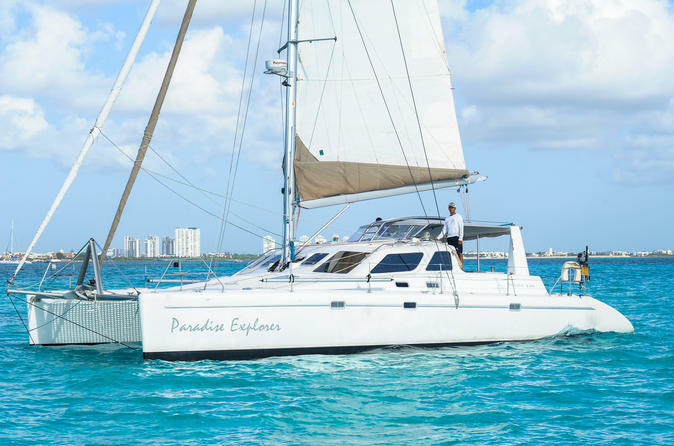 Imagine cruising along the Riviera Maya on a luxury 45 foot (14 meter) catamaran, snorkeling in the crystal clear waters, and lazing in the sun while enjoying free drinks and snacks. Does life get any better? 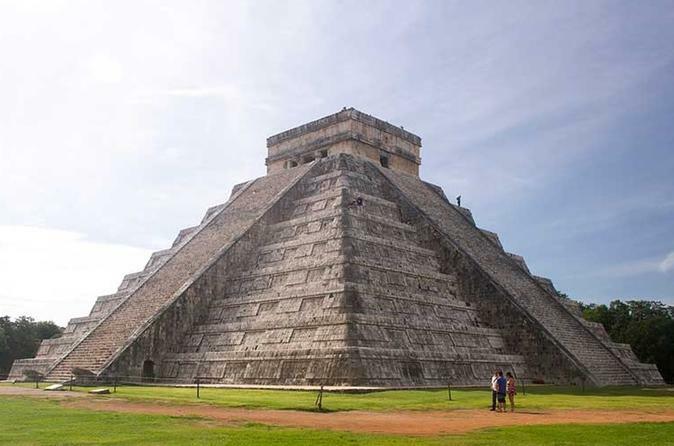 Discover the mystery and allure of Chichen Itza, the ancient capital of the Mayan Empire, on a full-day tour from Playa del Carmen. 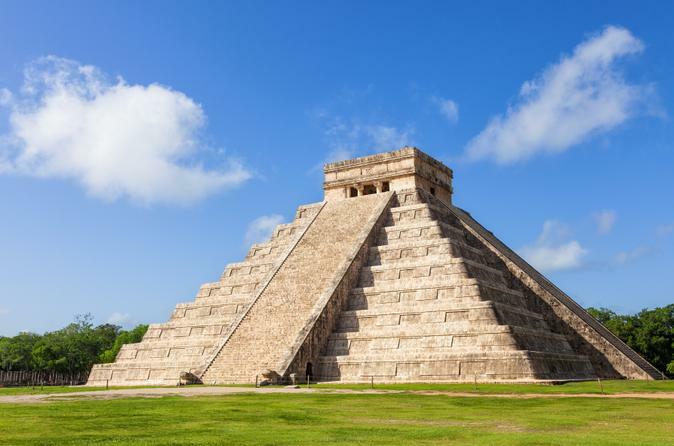 At this UNESCO World Heritage site, marvel at the architectural wonder of the Kukulcan Pyramid, see the great ball court and learn about Mayan ceremonial customs. 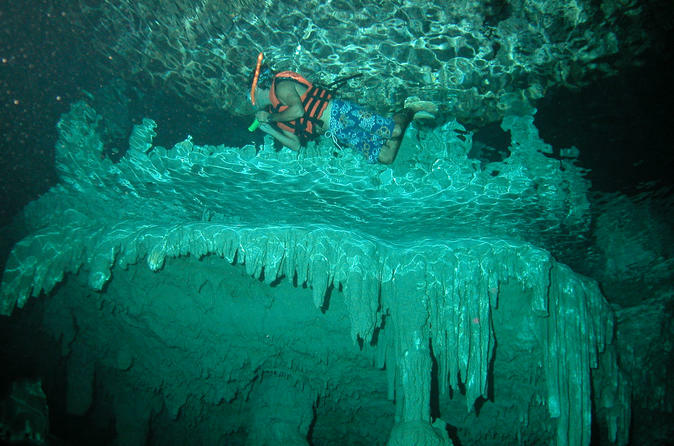 Before reaching Chichen Itza, swim at a nearby cenote, a deep natural well of clear water. End your tour with Mayan cuisine at a buffet lunch while enjoying a traditional folk dance performance. 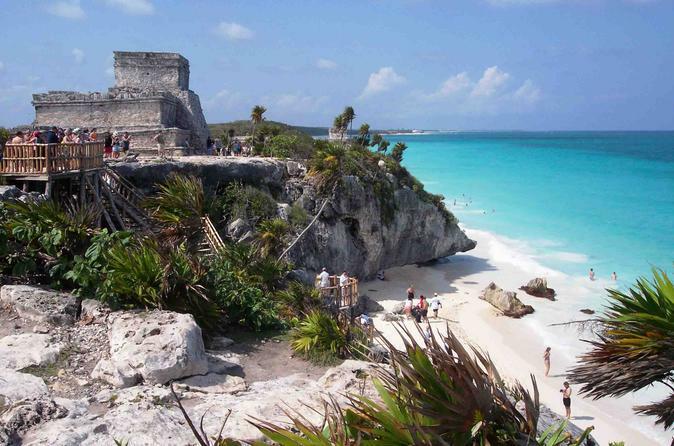 Visit the Mayan city of Tulum, one of the greatest archeological sites along the Riviera Maya! This former Mayan trade site, located on a cliff-side beach overlooking the magnificent Caribbean, is a must-see destination during your stay in Cancun. Upgrade your tour to include swimming at an underground river and lunch at a beachside restaurant. Enjoy personalized attention on this small-group tour, limited to 12 people. Bottled water and round-trip hotel transport by air-conditioned van included. Experience the sensation of swimming underneath the ground in the majestic Cenote Chaak Tun. These cavers were inhabited by the Mayans centuries ago. You will have a unique and mystic experience as you swim and walk through stalactites and stalagmites protruding all around you. Your chance of a lifetime to join the top-rated whale shark tour operator with a 12-year safety record with over 33,000 past participants. Fun for the whole family. 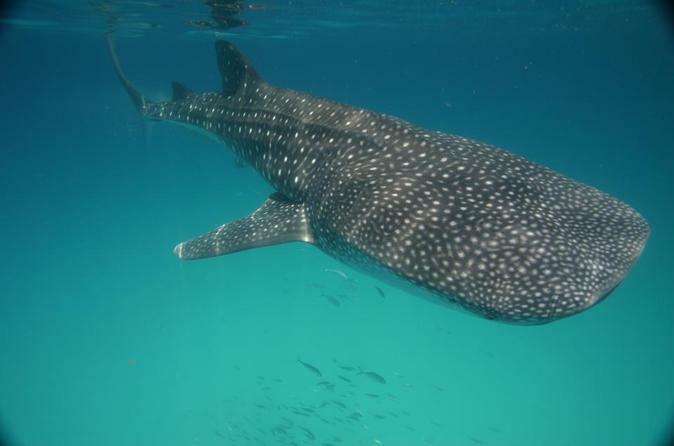 Imagine safely snorkeling alongside the ocean's largest fish, the "whale shark". We operate small groups of maximum 10 people, operated by professional captains and guides. We include everything: Professional Transfers from your hotel/resort ,snorkel and safety gear,Welcome light breakfast gourmet sandwiches, water, soft drinks, shrimp ceviche, guacamole, snacks and beer, plus a certified diploma. Spend a day splashing around Xel-Há, a natural aquarium located on an inlet along the Riviera Maya. Snorkel and swim in a lagoon, float down a river in an inner tube, or go bicycling and rope climbing. 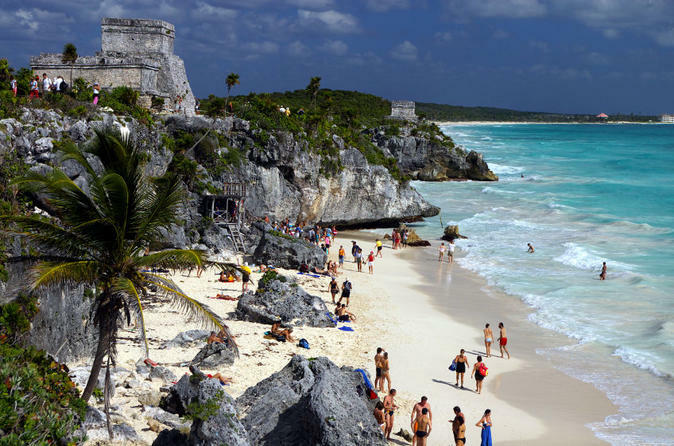 Plus, check out cenotes, caves and a hidden beach. When hunger strikes, enjoy your choice of Mayan cuisine, burgers, seafood, among other included meal options at the park’s various restaurants. Round-trip hotel transport from Playa del Carmen is included. 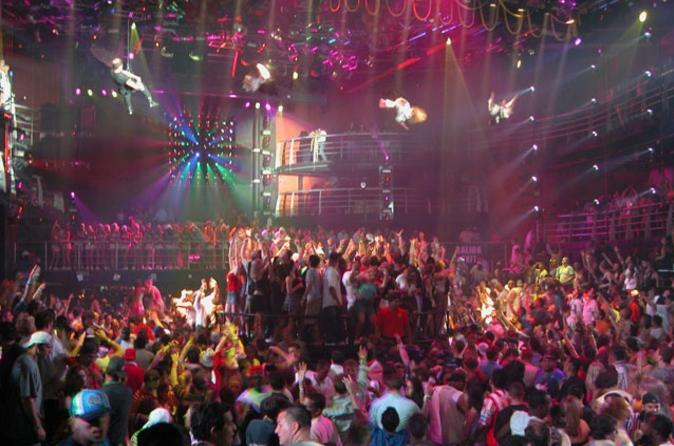 Visit three of the hottest bars and nightclubs in Playa del Carmen on this tour! You’ll be guided through the ultimate night-time scene in Playa del Carmen, from fun beachside bars to trendy dance nightclubs. Enjoy easy entry past the velvet rope, unlimited drinks and dancing all night on this exciting beachside city tour! 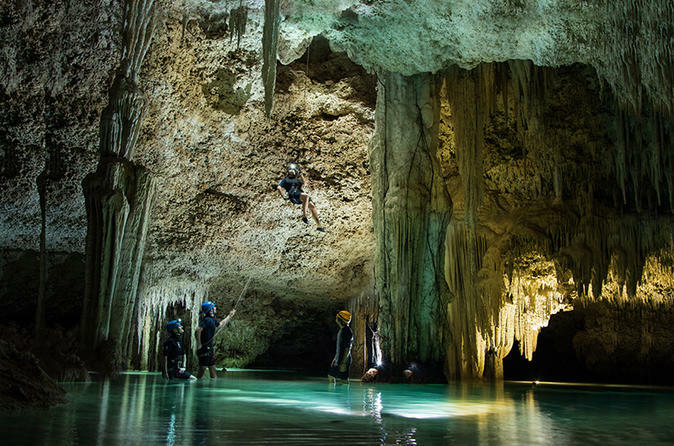 Visit the park of Xenotes Oasis Maya and explore four phenomenal cenotes in the Yucatan jungle, each calling for a different adventure: rappelling, ziplining, kayaking and snorkeling. 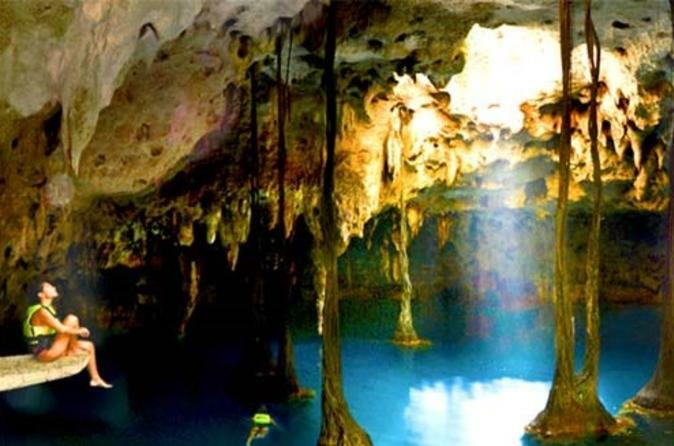 Learn from an expert guide about cenote formation, and admire the various physical attributes of each type of sinkhole. During this fun flurry of activity, hear about the mythical spirit-guardians that protect these cenote sites. Enjoy cookies and chocolate after each cenote adventure, as well as a scrumptious gourmet picnic lunch. 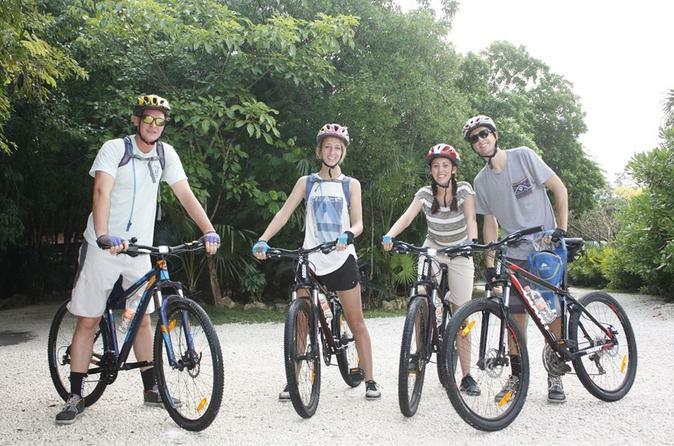 Round-trip transport from your hotel in Playa del Carmen is included. 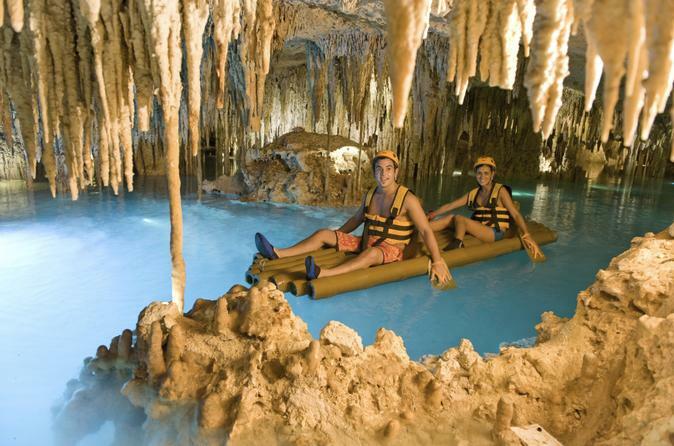 Enjoy two guided tours plus a visit to a cenote in this great combo from Playa del Carmen. You'll visit the archaeological site of Chichen Itza, then swim at Hubiku cenote and finally visit Ek Balam with free time to climb the main pyramid. This small-group tour is limited to 10 people and includes transport, lunch, entrance fees and a professional guide. Discover the splendor of Río Secreto Nature Reserve: Journey to the heart of a cenote, and in the silence of the underground cave, marvel at the cathedrals of stalactites and stalagmites formed over millions of years. As you wade your way through clear turquoise water, an expert guide explains the geological secrets behind these limestone formations and points out local flora and fauna. Out of the caves and back in the jungle, enjoy a tasty buffet lunch featuring Mayan cuisine. Round-trip transport from Playa del Carmen hotels is available. 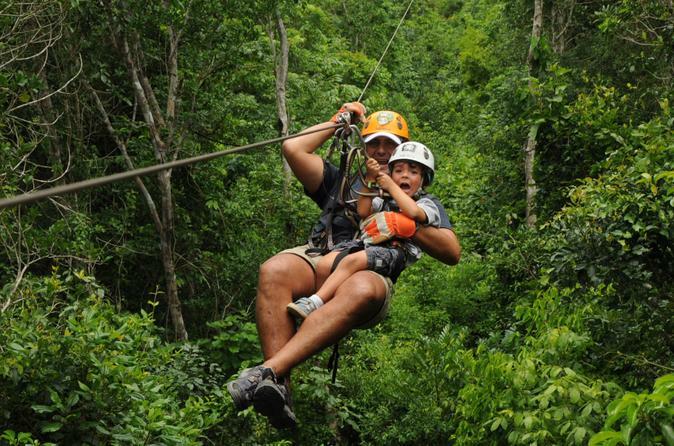 Experience outdoor thrills at Xplor Adventure Park, located minutes away from Playa del Carmen. Zipline over treetops, steer an amphibious vehicle through the jungle, and raft or swim through rivers and caverns filled with stalactites. Then enjoy tasty, healthy food at the buffet bar at the park's restaurant. With hotel pickup and drop-off, entrance fees and lunch included, this tour is a great all-inclusive option for families staying in Playa. Enjoy history, stunning landscapes and aquatic adventures on this combo tour to Tulum, a bluff-top walled Mayan city, and Xel-Há, a natural aquarium and theme park. Learn about the ruins of Tulum from an expert guide before frolicking at Xel-Há, where you can snorkel in a lagoon, float down a river in an inner tube, jump off a cliff or just relax on a beach chair next to iguanas, birds and other wildlife. Food and beverages at Xel-Há and hotel pickup and drop-off in Playa del Carmen are included. 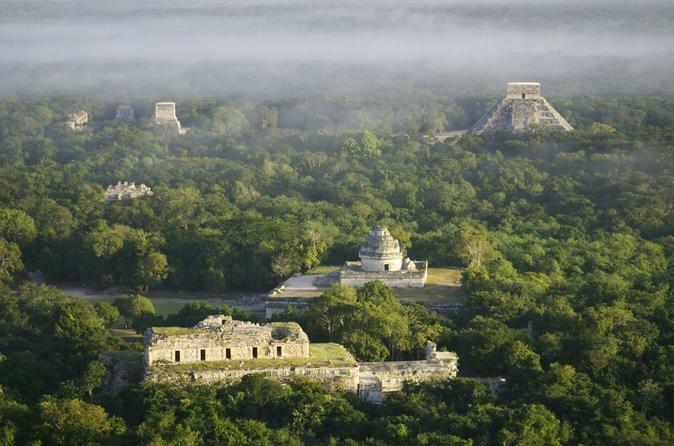 Be among the first to enter Chichen Itza as the park opens. You'll avoid the crowds and enter the site from an exclusive private entrance. 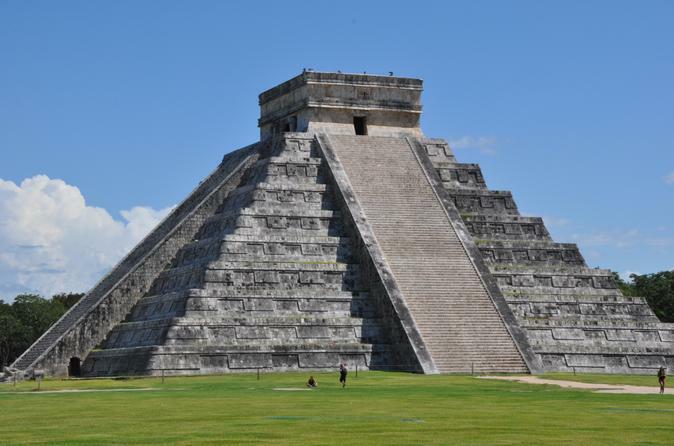 Take a guided small-group tour of the archaeological site, visit the Mayan Planetarium and enjoy a delicious buffet lunch. Your tour includes entrance fees, a professional guide, transport and access to Viator's exclusive on-site hospitality suite. Eat like a local on this small-group food tour which offers a thorough introduction to Mexican cuisine and the authentic dishes of the Yucatan in Playa del Carmen. Visit and eat at places that are far from the tourist mainstays. A great experience for adventurous food lovers. 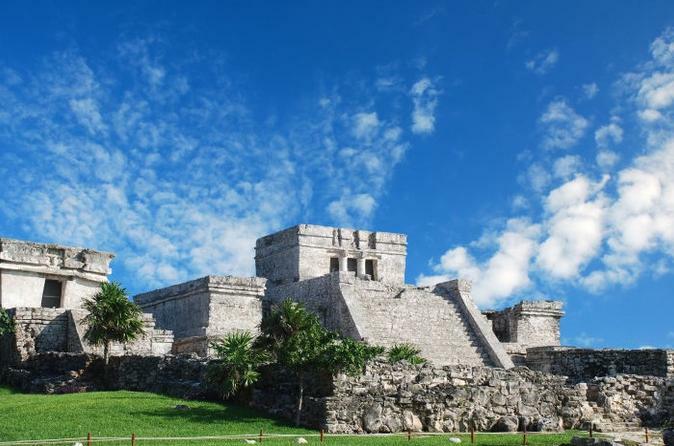 This 12-hour guided tour takes you to the two most significant archaeological sites on the Riviera Maya such as the seaside city of Tulum, where ancient ruins overlook the Pacific from a majestic cliff, and the inland capita of Coba, where you can climb the Yucatan's tallest pyramid and see the ancient roadway system used by the Maya to connect their cities. Enjoy lunch, swimming in a crystal-blue cave pool, and a final stop at Playa Paraiso, Tulum's white-sand beach, before returning to your hotel. 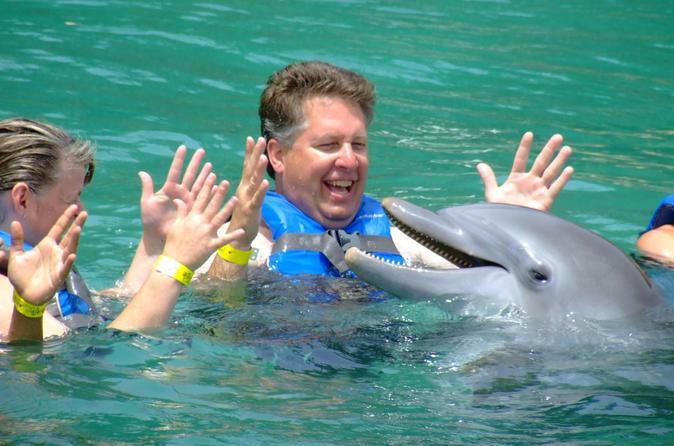 Spend an unforgettable hour swimming with the gentle intelligent dolphins of Mexico. Plunge into tranquil waters as you become better acquainted with these playful mammal in the form of a handshake and a kiss. After a short orientation session, you'll be pushed around the water by the dolphins at high speeds for what is guaranteed to be an experience of a lifetime! Enjoy a full-day seeing three amazing and famous places in the Yucatan Peninsula: Tulum and Coba Ruins plus the Cenote Tankach-Ha. 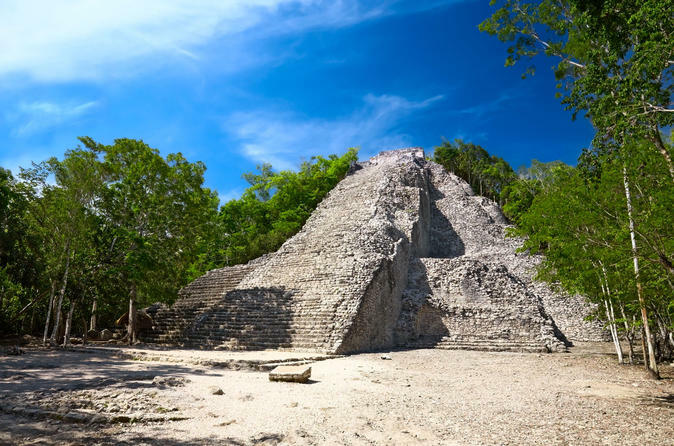 Tulum is the only archaeological site with access to the beach while Coba has the tallest pyramid in the Mayan region and you will be able to climb it You will also have the opportunity to swim at a wonderful cenote, enjoy a buffet lunch and visit the beach of Tulum. 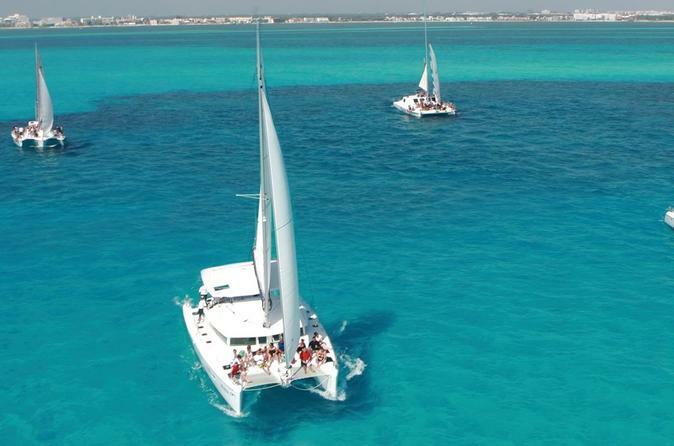 Coast over the breathtaking turquoise waters of the Riviera Maya and snorkel in the Caribbean Sea! Your expert captain takes you to Punta Venado, one of the area’s many shallow reefs, where you’ll enjoy snorkeling and other fun water activities with your friendly crew. Your 4-hour cruise includes a delicious lunch and open bar along with sport fishing aboard the motorized yacht ‘Piratas de Tejas.’ Round-trip hotel transport is included. 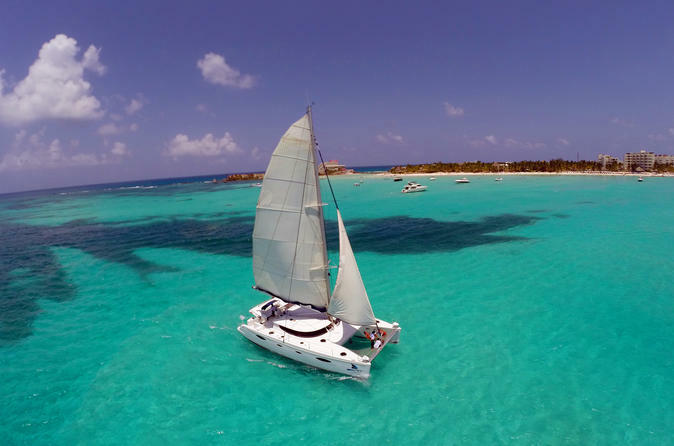 Set sail onto the Caribbean Sea toward Isla Mujeres on this all-inclusive tour where you can snorkel in the turquoise waters and then relax at the beach with a buffet lunch and open bar. Your tour includes hotel pickup and drop-off in Playa del Carmen. While you're in Playa del Carmen, don’t miss the chance to explore the Mayan capital of Chichen Itza through a private entrance — no waiting in line! 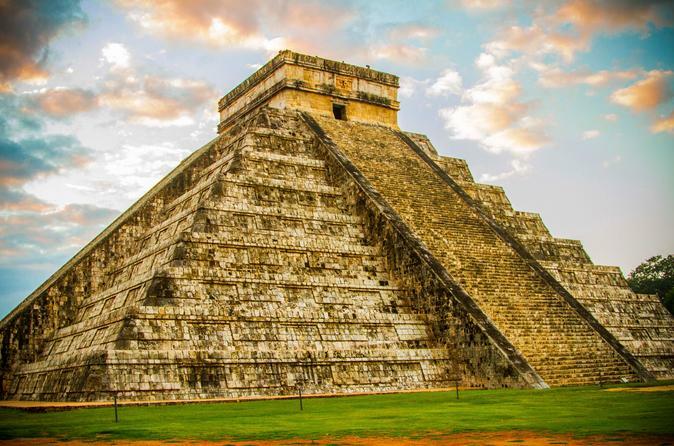 On this day trip to the UNESCO World Heritage site, explore important archeological landmarks, including the Kukulcan Pyramid, and learn about their historical and cultural significance from an expert guide. Then enjoy the conveniences of the modern world at Mayaland Resort where you can enjoy a buffet lunch, a swim in the resort pool, a walk through the beautiful gardens and Viator's exclusive hospitality suite. 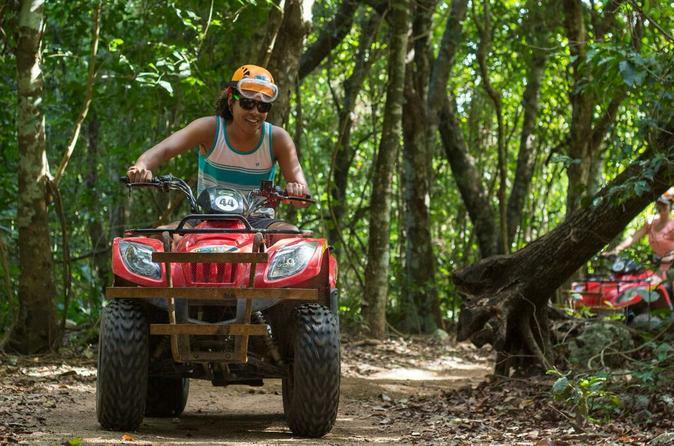 Let the dust fly as you bump along the jungle trails of Native Park aboard an ATV. On this guided day trip inside a private nature reserve, discover Maya ruins from a pre-Hispanic trade route, and make stops at a cenote and a cave with dramatic rock formations. Visit an old ranch and meet one of Playa del Carmen’s first settlers. This small-group tour limited to 10 people includes hotel transport. 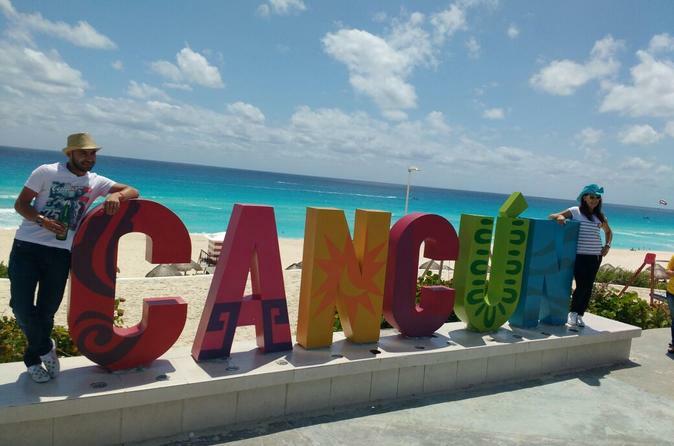 If you´re vacationing in the Riviera Maya, don´t leave without visiting Cancun. 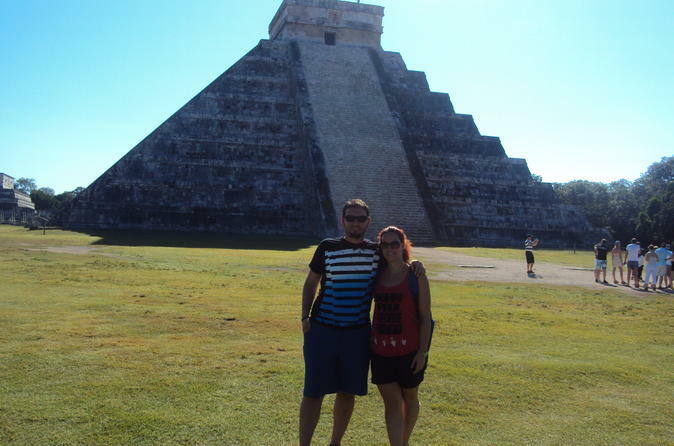 Knowledgeable guides will highlight Cancun´s fascinating downtown district and hotel zone. The tour also includes shopping at the very best places Cancun has to offer. Find it all as you peruse Market 28, famous for its local handcrafted souvenirs, along with plazas and shopping malls suited to fit every budget. Don’t forget to have your picture taken at El Mirador and the Tequila Museum! Take a 3-hour tour of the food and shopping scenes in beautiful Playa del Carmen. An expert local guide whisks you away from the touristy parts of this beach town for a visit on foot and by car to the spots where locals eat, hang out and shop. 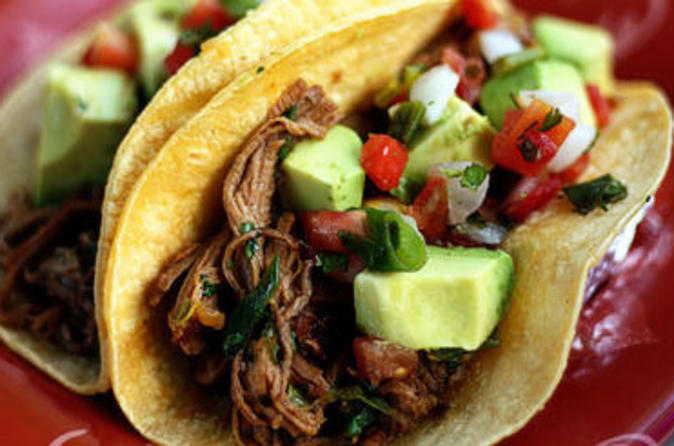 Get adventurous and try some local delicacies, such as tacos stuffed with grasshoppers or maguey worms, or stick with the tried-and-true carnitas and tamales. Partake in a tequila tasting. And then, at the conclusion of the tour, check out the city’s shopping venues for local fashions and souvenirs. Discover the old and the new of Maya culture, with a dash of adventure, on this full-day tour from Playa del Carmen. 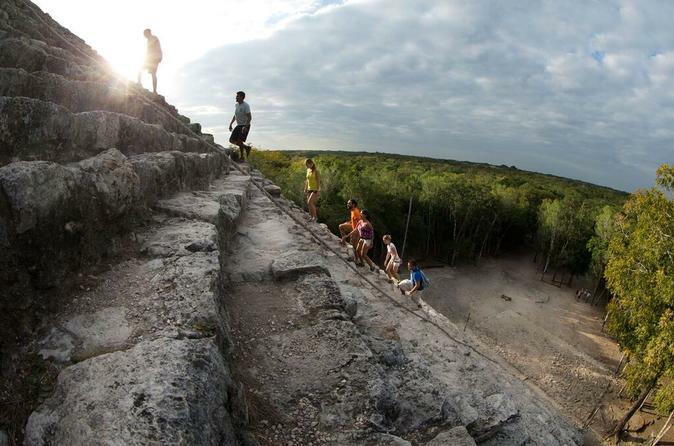 Stroll through Coba, an ancient Maya city, and climb Nohoch Mul, the second-highest pyramid on the Yucatán Peninsula. Deep in the rain forest, rappel into a cenote for a swim, zipline through the jungle and enjoy a laid-back canoe ride on a lagoon. At a small Maya village, meet a shaman and learn about native plant life. Hotel transport and a traditional buffet lunch are included. Indulge in the perfect blend of culture and adventure as you tour through the most amazing archeological site overlooking the Caribbean, Tulum. Fly above the jungle canopy on a spectacular zip line ride, and test your tenacity as you rappel down into the Mayan jungle. 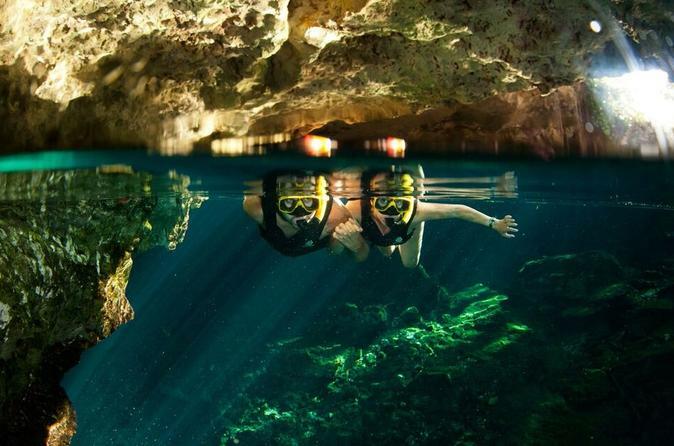 Finally, enjoy snorkeling through an underground river and delight yourself by sampling authentic Mexican cuisine! 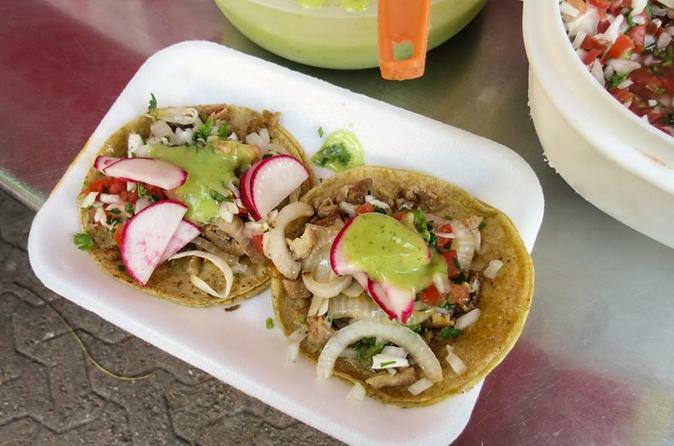 Taste the flavors of Playa del Carmen and eat your way through downtown on this 3-hour food walking tour. Soak up the ambiance while you learn about the town's history and hear tales of everyday life from your foodie guide. The evening itinerary includes stops at five locally owned eateries. 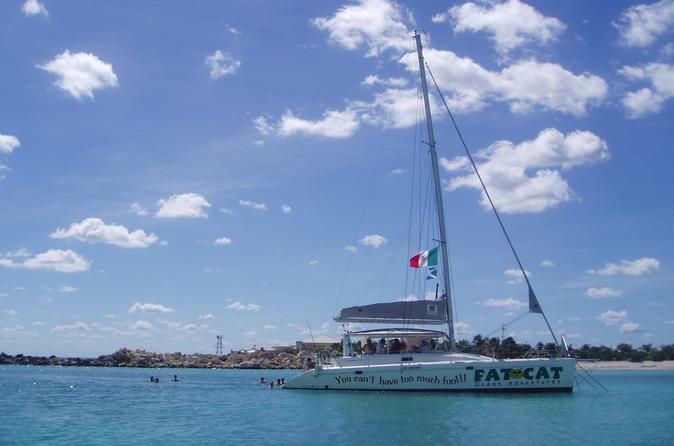 Make the best of your holiday in Mexico and cruise on a 44 feet long catamaran through the waters of the Caribbean sea accompanied by cool rum, tequila and soft drinks! Enjoy a visit to Isla Mujeres and explore the fascinating underwater life during snorkeling in Isla Mujeres Marine Park, followed by delicious buffet lunch in the beach club restaurant on the beach. Rio Secreto has evolved, both as a brand and as a natural reserve, with the new addition of 'Rio Secreto Plus' - the most spectacular tour in the Mexican Caribbean. This 5-hour guided tour includes the traditional Rio Secreto experience with a walk through its caves, a swim in the natural underground rivers, and the opportunity to see the breathtaking formations. But, not only that, you'll now have the unique chance to visit the new 'Dry Route' which offers even more. On this route, you will visit the Salón de la Paz, where a spectacular light and sound show is projected on the natural formations. This experience is sure to transport you back in time to the very creation and evolution of the universe. Discover a beautiful island where you will be able to take walks along the beach and snorkel in the clear waters. 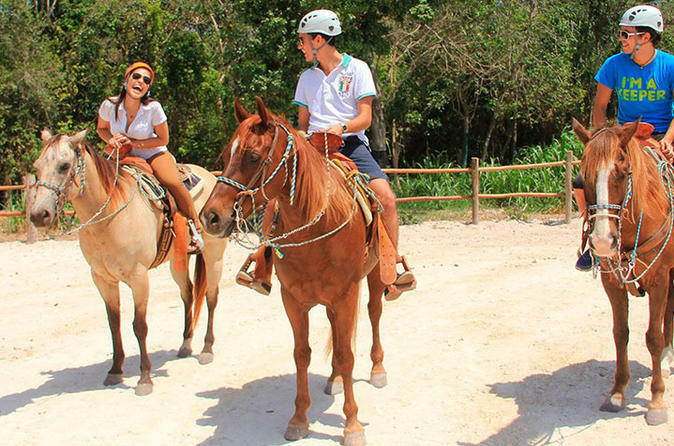 Combine two Yucatan adventures on this half-day horseback ride through jungle followed by a swim in one of the region's famous natural cenotes. Hotel pickup and drop-off, guide, all necessary equipment, water, snacks, and towels included. Want to zipline upside down? On this half-day tour inside Selvatica, an award-winning Cancun ecological park, sail through the jungle on 12 ultra-thin cables, designed to send you zooming at maximum speed. 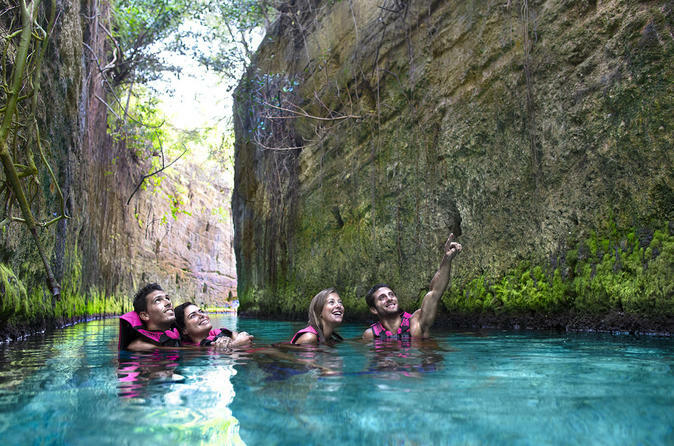 Then charge through an obstacle course and climb a rock wall before you zipline into a cenote for a refreshing swim. Kids will lap up the thrills and parents will enjoy the top-notch supervision from expert guides. This family-friendly tour comes with snacks and hotel transport. Xcaret eco-archaeological Park will offer you a truly amazing experience with a mix of entertainment, nature adventures, exquisite food and history. Choose between the basic or plus ticket and explore every corner of the park with over 40 exciting attractions. 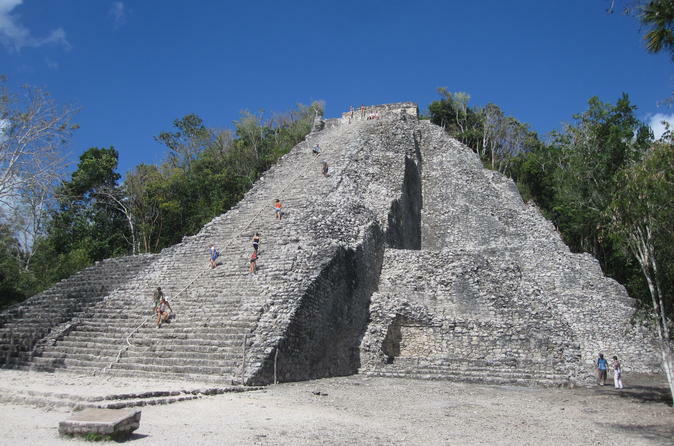 You'll discover the richness of the Mayan jungle and the culture of Mexico to have a great time. The park is located in the Riviera Maya and is easily accessible by car. It is open daily from 8:30am to 10:30pm. Considered one of the world’s greatest natural parks, Xel-Há will give you one of the best experiences while you are visiting the Riviera Maya. Your all-inclusive ticket will allow you to discover an array of activities and have an unforgettable time. 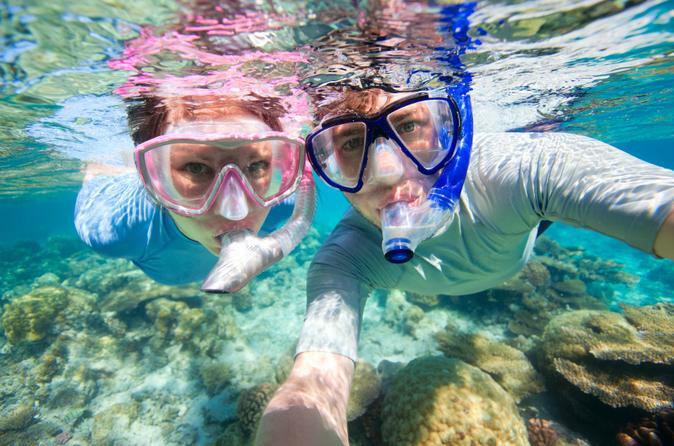 Practice snorkeling, go ziplining and see hundreds of colorful fish and marine life. Enjoy plenty of water activities and savor delicious food at the various restaurants. See lagoons, caves and a breathtaking scenery that will leave you eager to come back.